The Registry Collection® program, the world’s largest luxury exchange program, announced that it has renewed its affiliation agreement with Fairmont Heritage Place (FHP), the private residence club division of Fairmont Hotels & Resorts, to continue their long-standing relationship. Seven Fairmont Heritage Place properties are included in The Registry Collection exchange network, making these world-class resorts available to the program’s more than 43,000 members. “We are excited to continue our relationship with the finest residential exchange program globally,” said Barry Landsberg, FHP’s Executive Director, Residential Marketing, Sales & Development. “Being part of this exchange network not only provides our home owners with greater flexibility and travel options, but it is also provides additional tools for our developers’ sales and marketing teams. Most importantly, it provides us the opportunity to showcase the luxury product, personalized service and unique experiences that are at the core of the Fairmont Heritage Place brand with members of The Registry Collection program worldwide. Fairmont Heritage Place, Acapulco Diamante in Acapulco, Mexico: This property is nestled overlooking the Pacific Ocean near the Sierra Madre, with three-bedroom homes featuring private plunge pools. 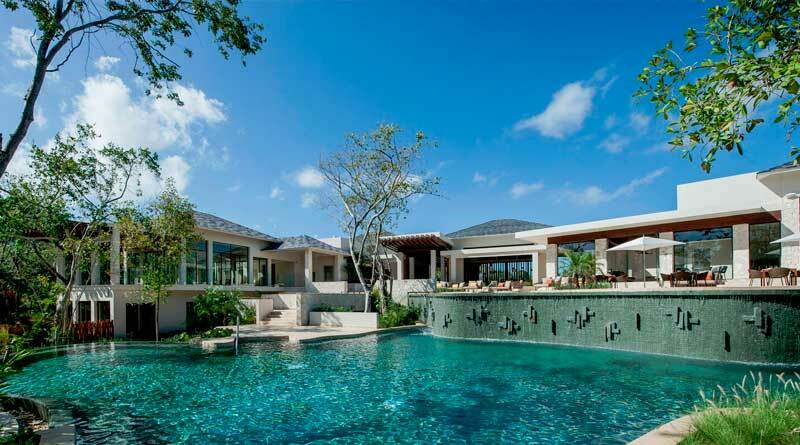 Fairmont Heritage Place, Mayakoba in Playa del Carmen, Mexico: Found in the vibrant heart of the Riviera Maya, this resort complex offers luxurious three- and four-bedroom residences amid the jungle and tropical mangroves bordering white sand beaches. Fairmont Heritage Place, Zimbali in Zimbali, South Africa: Located on a breathtakingly beautiful section of ocean front land within the Zimbali Coastal Resort, the residences give a fresh take on travel in South Africa. Fairmont Heritage Place, Ghirardelli Square in San Francisco, California: A gem in the Golden Gate city, this meticulously restored historic property features two- and three-bedroom residences. Fairmont Heritage Place, Franz Klammer Lodge in Telluride, Colorado: Leisure and adventure come together in this Telluride ski resort, ideally located in Mountain Village with lavish accommodations. Fairmont Heritage Place, Inspiration in Miramar Beach, Florida: Between the emerald waters of the Gulf of Mexico and the quiet shores of Choctawhatchee Bay, travelers will find these elite three-bedroom residences that take the Florida getaway experience to the next level. Fairmont Heritage Place, El Corazon de Santa Fe in Santa Fe, New Mexico: Travelers will find this elegant property in the heart of Santa Fe a hidden retreat, where they can enjoy an Old World ambience and lavishness that this property is famous for. Members of The Registry Collection receive benefits beyond vacation exchange at Fairmont Hotels & Resorts through the exchange program’s Collection Partner benefits. Travelers are able to receive special pricing and benefits exclusive to members at Fairmont Hotels & Resorts in 70 world-class destinations around the globe, many complete with top-tier spas, championship golf courses, and luxurious accommodations. Fairmont Heritage Place, the private residence club division of Fairmont Hotels & Resorts, is a collection of extraordinary residences offering vacation home ownership in some of the world’s most sought after locations. Whether perched at the base of an extraordinary ski slope, steps from a picturesque beach, or part of an urban oasis, Fairmont Heritage Place properties are exquisite in their luxurious décor and design. With uncompromising attention to detail, the finest comforts of home and a true reflection of the local destination, each property offers privileged access to an array of personalized services and amenities ensuring owners and guests feel at home. Fairmont is part of AccorHotels, a world-leading travel & lifestyle group offering unique experiences in more than 4,000 hotels, resorts and residences, as well as in over 2,000 of the finest private homes around the globe. For additional information please visit fairmontheritageplace.com.